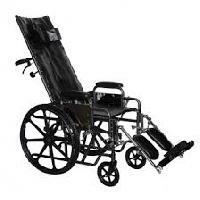 We are offering deluxe powered reclining wheelchair. 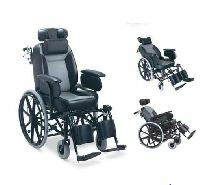 this wheelchair features a powered (motorized) back rest reclining reduced stress at the back. 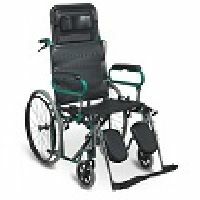 Wheelchair has manual foot elevating feature which enables the user to strech hisher legs for better comfort. 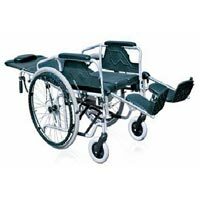 WH2102 - Wheelchair Reclining High Back Steel Powder Coating. Reclining High Back. 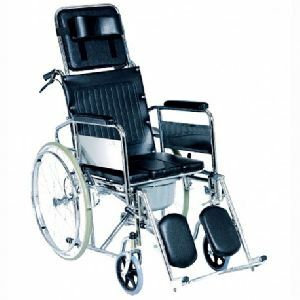 Detachable Armrest, Elevating Footrest. Solid Castor, Solid Rear Wheel With Spokes. 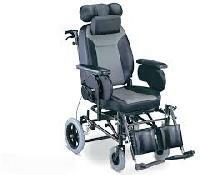 Patient & Attendant Controlled Brakes. 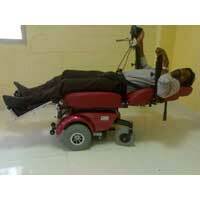 RECLINING WHEEL CHAIR . * MODEL NO.SMS-24RCQ. 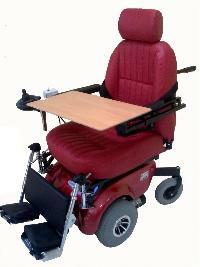 * HEIGHT ADJUSTABLE HEADREST. 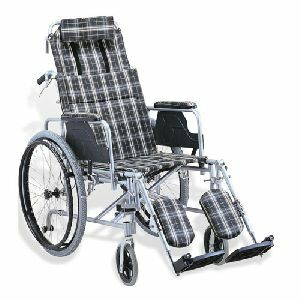 * REMOVABLE CUSHION SEAT. *DETACHABLE AMREST. * SELF DRIVE WHEEL. 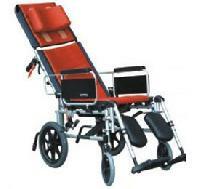 We Offer Deluxe powered Reclining powered wheelchair. 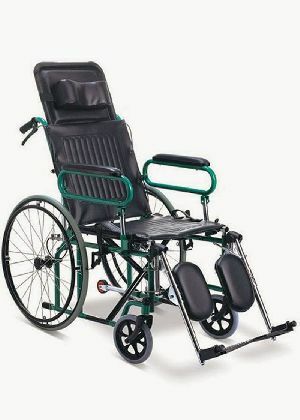 This Wheelchair features a Powered (Motorized) back rest Reclining reduced stress at the back. 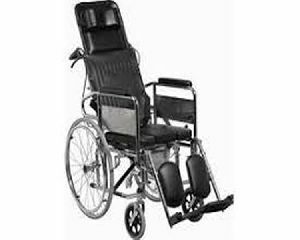 Wheelchair has Manual foot Elevating feature which enables the user to strech hisher legs for better comfort.